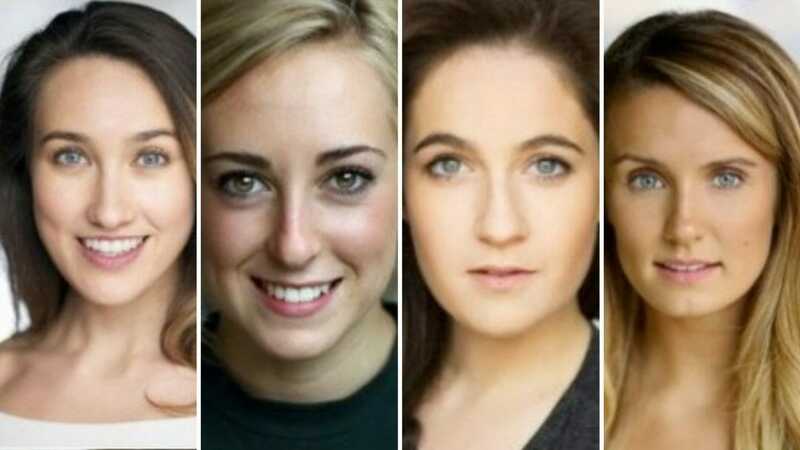 Casting has been announced for the UK Premiere of Off-Broadway smash-hit musical comedy The Marvelous Wonderettes, being produced at Upstairs at the Gatehouse, Highgate Village, from Tuesday 9 April until Sunday 12 May 2019. Written and created by Roger Bean, the multi-award winning show opened in New York at the Waterside Theatre in 2008 to outstanding critical acclaim. It takes a cotton-candied musical trip down memory lane to the 1958 Springfield High School Prom, where we meet The Wonderettes: four girls with hopes and dreams as big as their crinoline skirts. The show follows their lives and loves from Prom Night to their 10-year Reunion. The show stars Sophie Camble (White Christmas, Chess and 42nd Street) as Missy, Rosie Needham (Legally Blonde) as Cindy Lou, Louise Young (Mamma Mia!) as Betty Jean and Kara Taylor Alberts (The Wind in the Willows) as Suzy. The Marvelous Wonderettes showcases over thirty hit songs from the 1950s and 1960s by artists such as Aretha Franklin, Neil Sedaka, Connie Francis and Dusty Springfield, including “Stupid Cupid”, “Son of a Preacher Man”, “I Only Wanna be with You”, “Secret Love”, “Lipstick on your Collar”, “Respect”, “Rescue Me”, “Dream Lover” and “Heatwave”. The production will be directed by Joseph Hodges, with choreography by Iona Holland, musical direction by Lauren Ronan, design by Emily Bestow, lighting design by Sarah Mc Colgan, sound design by Phil Wilson and casting by Jay Gardner. Tickets are now on sale from the Box Office at Upstairs at the Gatehouse on 020 8340 3488 or online at www.upstairsatthegatehouse.com. Performances run Tuesday to Saturday at 7.30pm and Sunday at 4.00pm.